You’ll need to be a dab hand at trekking to get here. Trek through a deep valley to reach Dabbe Falls. The Dabbe Falls are well out of the way and comparatively untouched by tourists. The walk to the falls is as worthwhile as the falls themselves. As the falls are off the beaten track, hiring a guide is recommended for safety. Dabbe falls is easily one of the most beautiful falls in the region. The effort to reach the bottom is totally worth it, sitting near the base of water falls is different adventurous experience in itself. 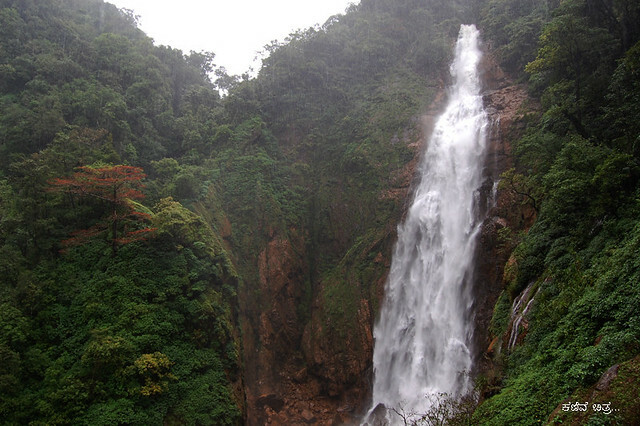 Jog Falls, the second heighest waterfalls in India are not far from Dabbe falls.